In a not-too-distant future that is not quite ours, there has been a major scientific breakthrough. It is a way to open windows into the past, permitting historical researchers to view, but not participate, in the events of the past. 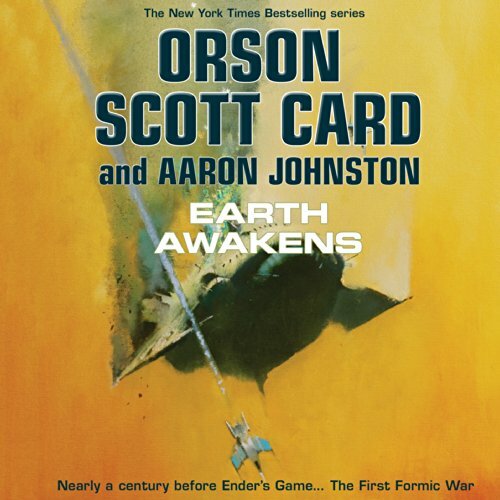 What did you love best about Earth Awakens? Powerful ending, gets you charged for the Second Formic War! Keep in mind, there is still one more war before Ender - but the story concludes with a believable resolution and connects some of the dots between a pre-Formic era and that of Battle School. Seeing Mazer develop and witness his initial recognition of the unique value that (gifted) kids can provide. Some of the tenets of Battle School gain their origin in this book. When the band was finally all together. After two novels of parallel story lines I was eager for them to be in the same room planning for an attack. All history of "only being a free miner" or a "corporate snake" is at last left behind with all focus on a high risk mission. Lem's holo to Victor; after all they had been through together and against each other - admitting that he truly appreciates and respects him. Love the conclusion to this story arc. Being former military, and having directly worked with several other countries militaries, the bureaucracy is totally believable. I know the science is probably a bit much for academics to accept but if you have read the other 15-ish books in this series you should be beyond that. There are two reasons that this story did not get 5 stars: 1. There's only so many times that I can hear "I can't let you risk your life" and actually believe it. The characters are always in dire situations and I'd think by the time it's do-or-all-humans-die it's total war time and everyone is all-in, just accept the help and MOVE!2. I have been to China and know how prideful and protective a society/government they are, but the thought that they would STILL not ask for help after millions of their civilians are butchered by aliens is a stretch. If nothing else at least the Russians and maybe the North Koreans would be welcomed. I've listened to the whole Ender/Bean series and this 1st Formica war series is a must. I just finished the 3rd book and I wish there was more to it. Great story to listen to. 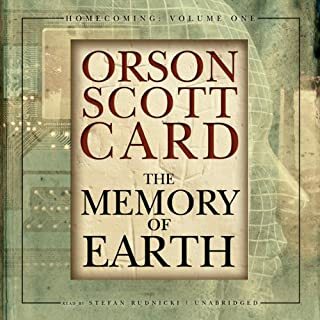 It was always a pleasure to listen to or read Orson Scott Cards stories. However, now, with the contribuțion of Aaron Jonston the story îs even better, sharper, with more acțion, more thrill.... Excelent job done by the two of them. The book is full of the type of characters that you can really cheer for. Sound minds face seemingly insurmountable challenges and their solutions are so wise, you can almost learn life lessons from them. O ya, and there is a ship load of thrilling action. Mazer Rackam is my hero. (So is Col. Graff but he isn't in this book.) He is tough as nails, teachable as a child, innovative as Ender, and yet he still develops and progresses in the book. Lem Dukes' voice is something special. His oily self righteous personality is all over his voice. There were quite a few heart wrenching cliff hangers of especially potent strength. And at the chant of WE ARE THE SONS OF U.D.T.... I am so glad I chose to get this as an audiobook. What's with the voice "ACTING"? Fire the producer of the vocal actors. Please. The overly emotional read of Victor's character is unbearable and comically bad. Also, WTH is up with OSC ripping of Spielberg's facination with child characters? Great premise, awful execution. Once you get past all the inconsistencies that are being retconned in, you are left with a predictable overdramatic melodrama that drags more than it moves. There are character death scenes that are so drawn out as to cause the listener or reader to pull a kavorkian and help put the damn character down. 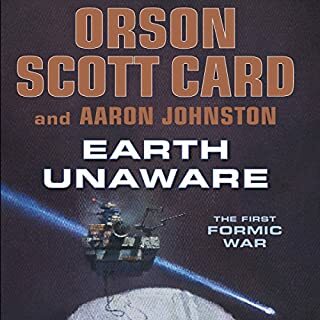 This final installment of the first formic war is not only the weakest end perverse book to date, but the weakest book Card has ever been a part of. its not the worst I've ever read or listened to, but damn it might make bottom 10.
the audio performers if they are going to try accents should try to at least keep them consistent, but that is just one piece of what made for a sloppy audio performance. this was just plain bad. 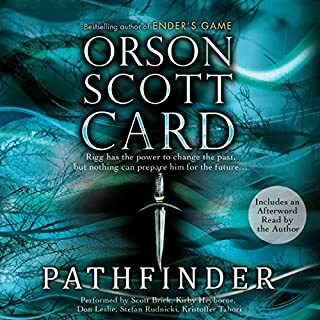 Orson Scott Card is one of my favorite writers, but in these books, he seems to be giving his cowriter too much room to screw it up. Don't get me wrong, this is a must read for all Ender readers and its pretty good. But here's the main issue, although all of his books are a little loose with the science, in these three books, science is thrown out the window in places to add drama. There is plenty of Drama with the bugger invasion without upsetting readers who recognize when the science if off. 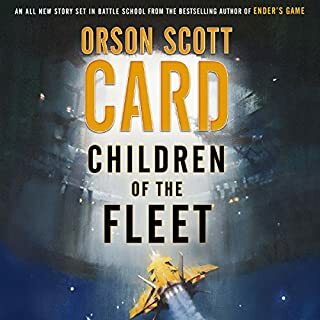 The books are great and I look forward to the next set where Mazor confronts the Bugger fleet but there are some inconsistencies you won't find in Cards earlier Ender books. Also, most of the narrators add to the book but some of the narration is overly dramatized and it can be a bit annoying. I loved it so much.. I Can't wait to start the next book. I preordered from audible. I love all these books be for. ender's game. All these books fill all the questions I've had. 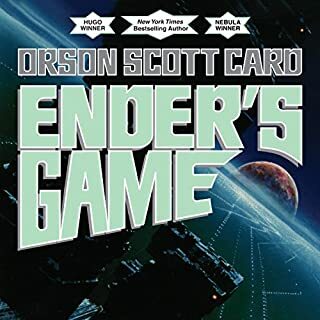 Its first reading all the Ender's stories.